Based on working days. Free Delivery to Mainland UK. These winter wheels are available for your Skoda Fabia III (5J) 2014 on including . 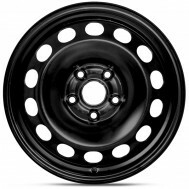 Wheel fitment does vary depending on your model variant so please select your vehicle model variant in the left column or in the wheel product page. Subscribe to our updates to find out first about offers! * Finance is subject to status and approval by third party. Finance quotes include a minimum deposit contribution of 10% and are quoted at the selected term. Delivery is free to mainland UK on sets of wheels or as otherwise stated. Minimum website spend is £20. Delivery times are based on working days and not offered with a guaranteed delivery date.